By accident I stumbled over some older memorablia from games gone by, among them Wing Commander from 1990. Wing Commander was a title that had a great influence on my professional work and there is even a connection to SACRED. 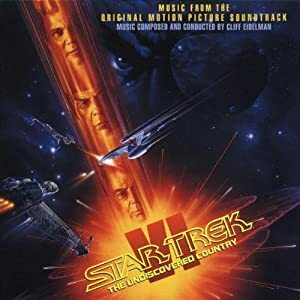 Well, during those days you had not a big orchestral score - if you were lucky you had MIDI beeps... very electroni - and so I used to fly to James Horner's STAR TREK VI - The Undiscovered country. As I played WC for over a year or so (sweet times as a student), I memorized the score completely (we used parts of it later for the editing patterns on Flashback, as well). Later, when I was redesigning the intro sequence of SACRED, there is a sequence, where the demon walks through the chamber, approaching the magician Shaddar. And immediately I had a pattern of the score in my mind (Enterprise vs. Chang's Bird of Prey) which fitted the pattern of the cinematic sequence. It became the dummy-version composer Dag Winderlich used for the score he created later.